Are you a modern day Renaissance man? Finding it difficult to manage all of those themes for your personal site, business site, online photo gallery, and that blog devoted to your passion for underwater basket weaving? Hey, we don’t judge. 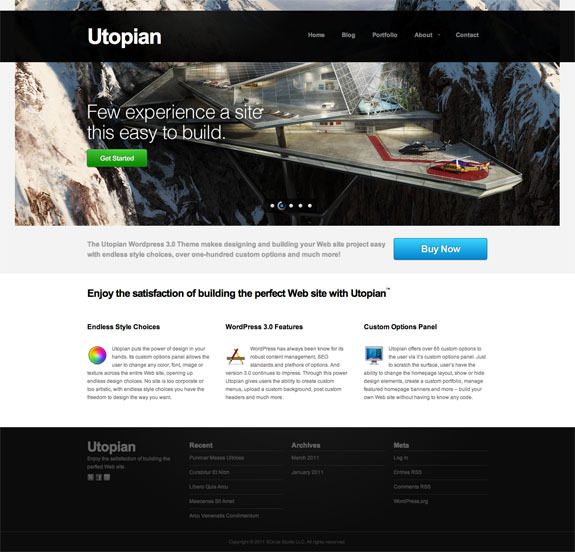 You may however want to give Utopian premium WordPress theme a spin. The Utopian layout has been built from the ground up to be the perfect website with a look and feel that works equally well in a multitude of situations. It doesn’t matter if the job is private or public, corporate or creative, Utopian premium theme is equipped to be the perfect layout for any need!